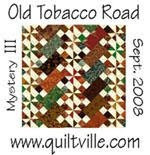 I am going to do the Mystery Quilt with Gyleen Fitzgerald. She is running on Facebook. First clue is finished. I think if I can keep up this will be good therapy for me while Wayne goes thru his cancer treatments. 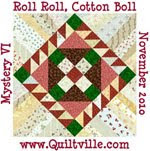 This is the center and is 17 1/2 by 17 1/2 inches square. Now I have to wait for the next clue. All of these came from my scrap bin. That is part of the challenge, use your scraps. 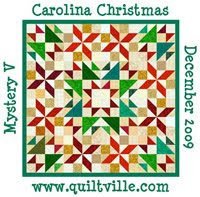 Nice-I love scrappy quilts! Keeping you in my thoughts and prayers.